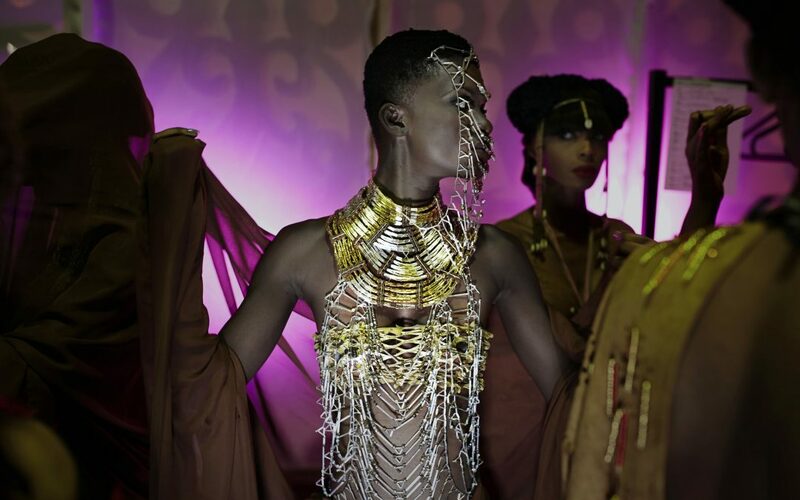 Models backstage before a show with the Paris-based Ivorian-French designer Mickael Kra at a hotel in Abidjan, Ivory Coast, during the Moreno Fashion Show in December 2015. Per-Anders Pettersson has spent the last five years documenting the vibrant fashion scene across sub-Saharan Africa. His new photography book, “African Catwalk,” is a visual survey of Africa’s emerging fashion industry, giving viewers an insider’s perspective on a transcontinental spectacle that often goes unseen.